I recently went on a wellness retreat and realized that even as someone who sees all the healers—a functional medicine doctor, a gastroenterologist, an acupuncturist, a bodyworker, and a shamanistic facialist, to name a few—I had never yet seen an Ayurvedic practitioner. Whoa, I thought. Where have I been? Luckily for me, during a recent stay at Rancho La Puerta, a luxury wellness and fitness resort in Baja, Mexico, I had the opportunity to meet an on-site Ayurvedic counselor. In true “teacher’s pet” form, I showed up to all her lectures and signed up for a one-on-one with her before she left the ranch. I was clearly intrigued, but for someone as open as I am to woo-woo things, I was also somewhat skeptical. Could she really tell I had scoliosis by looking at my tongue? Does my heart really beat differently than someone with a different dosha than mine? But I checked my doubt at the door the moment I walked into her open-air office and stuck out my tongue. She told me that my colon was clogged (I’ve struggled with GI issues for six-plus years), that the detoxification in my body was not up to snuff (I have nonalcoholic fatty liver disease for unknown reasons), and that I’m plagued by anxiety (true). The ailments she named only got more real and more specific after listening to my pulse points. At this point, it’s probably helpful to offer a very basic crash course in Ayurveda—an ancient Indian healing modality that’s been around for more than 5000 years. (It roughly translates to “the science of life” and emphasizes a holistic and balanced approach to wellness.) Ayurveda tends to revolve around three doshas, which are physiological energies that make up every individual. Vata: reflects the elements of space and air. Someone who gets cold easily, has a smaller frame, and tends to have a creative mind might have Vata-dominant energy. Pitta: reflects the elements of fire and water. Someone who runs warm, is competitive and assertive, and has a strong appetite might be more Pitta-dominant. Kapha: reflects the elements of water and earth. Someone who is a natural empath and is good at remaining calm—that one friend with a really maternal, nonjudgmental nature—might be more Kapha-dominant. There is no such thing as being one singular dosha, so you can throw those online quizzes out the window. A person’s constitution is made up of a percentage of each of the three doshas. The analysis is more than just questions and characteristics. When you see an Ayurvedic counselor, they do a full-body scan—including that tongue and pulse check. "My vata is too high for my vata self"
After meeting with my practitioner, I learned that I am predominantly Vata with a good amount of Pitta… and a tiny, tiny sliver of Kapha. Due to current imbalances in my life both internally and externally, my Vata is too high even for my Vata self. What does this mean? I’m airy-fairy all over the place. I pick at my food while I’m cooking it, and when I finally sit down to eat, I take a bite and realize I want two more seasonings. I fix up my food and then need to feed the dog, and then I’m over dinner and am feeling ready for dessert before I’m even finished. I also tend to lock myself out of places, like my loft, because I’m off in the clouds thinking about something else. This has gotten significantly worse lately—ask my locksmith. Vatas are also generally cold, especially their extremities and tend to suffer from bloat, constipation, and overall dryness—we’re airy! And since I have a history of IBS-C, this all made complete sense when my counselor was streaming this new information into my brain. Now that I know all this, what can I do about it? Are we supposed to do anything about it? Or is it good enough just to know? While knowledge is certainly power, there’s always something you can do to find a little more balance. For me, working on it means grounding myself as much as possible. Food-wise, I’ve been doing this by eating more warm foods instead of cold. Steamed and sautéed veggies have become my go-to in place of my usual salads. The other important things here are schedule and routine. I haven’t been treating myself with kindness in this respect. 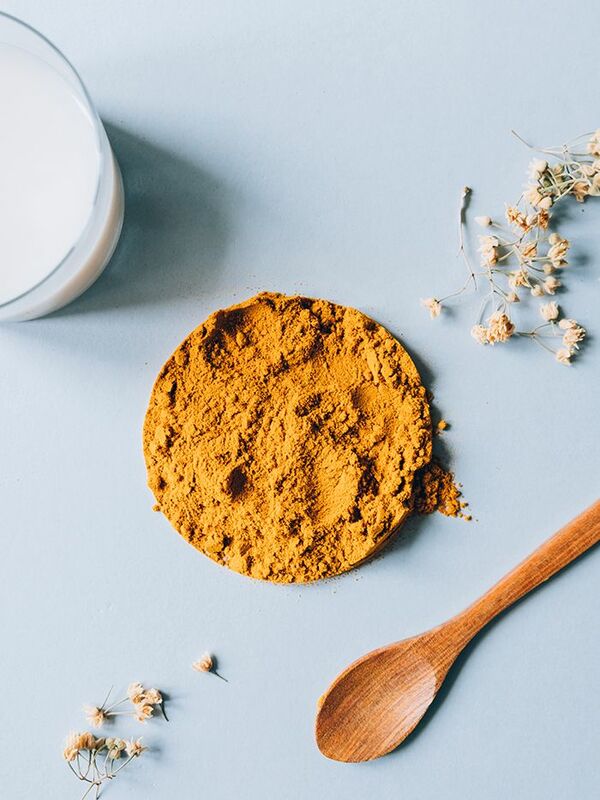 According to Ayurveda, when our body is off balance, we often crave more of whatever is making us off-balance—which leads us to be even more off-balance! The results after a month of incorporating these new practices? Improved digestion, for starters. Keeping my body on a schedule is definitely making me more regular. I also have more sustained energy since less blood sugar dips equate to a more functional workday. It all adds up to less stress, thanks in part to meal-planning too. When you’re prepping in advance and consistently eating similar foods and meals day-to-day, it completely eliminates the, What am I going to eat? What am I in the mood for? aspects of the day. And that’s strangely freeing! Balancing your doshas is really a practice of being mindful. 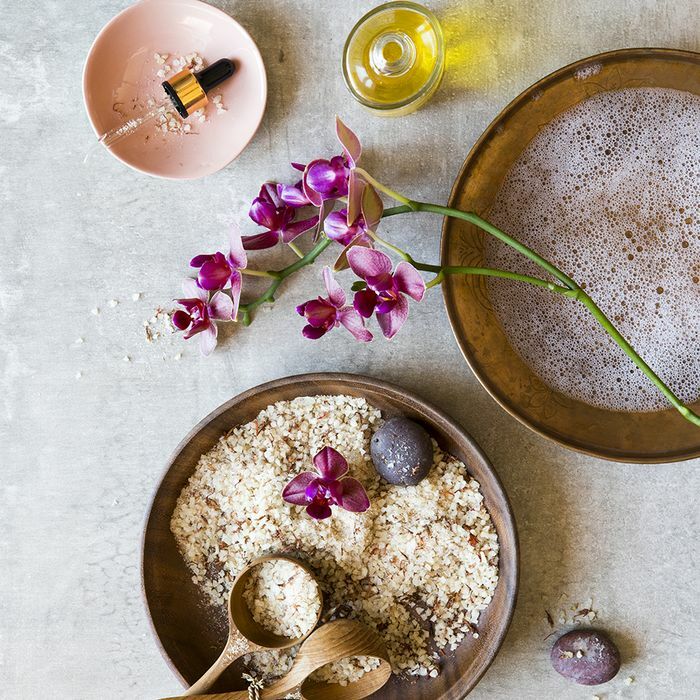 And no matter how woo-woo your personal belief system tends to skew, the truth is that Ayurveda is a great option for someone looking for more answers—or simply looking to check in with themselves. Isn’t the root of everything learning to be mindful and treating our bodies with kindness and respect? Let’s get back to that. I’ll be over here incorporating Aryuvedic practices mixed with my Western-esque ways to get there. Jenna Schreck is a writer and holistic nutritionist-in-training. Read more about her experience with food allergies and wellness journey at No Whey Lady. Next up: Seven women reveal how chronic illness changed their relationship with their bodies.